Ah, a dynamic angle being used without looking wacky. 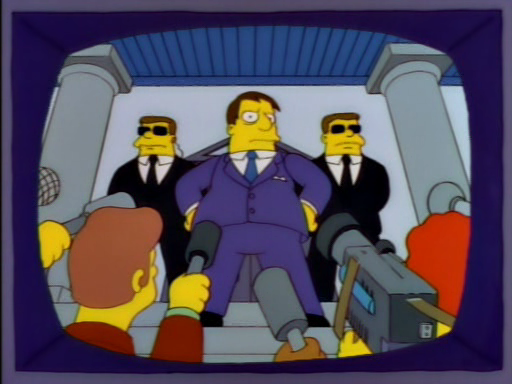 Look at the microphones and camera pointed straight at Quimby, even the columns point in towards him to draw your eyes. Compare that to now when they just draw strange angles for the hell of it that end up looking odd. They’ve lost their sense of composition. Do your worst, you filthy, pretentious savages! One of my favourite Quimby moments in the entire series.